Basically the memory for an image must be "contiguous" memory, that is unfragmented memory. On computers with limited memory sometimes that can be improved by re-starting the computer, as memory tends to become fragmented over time. 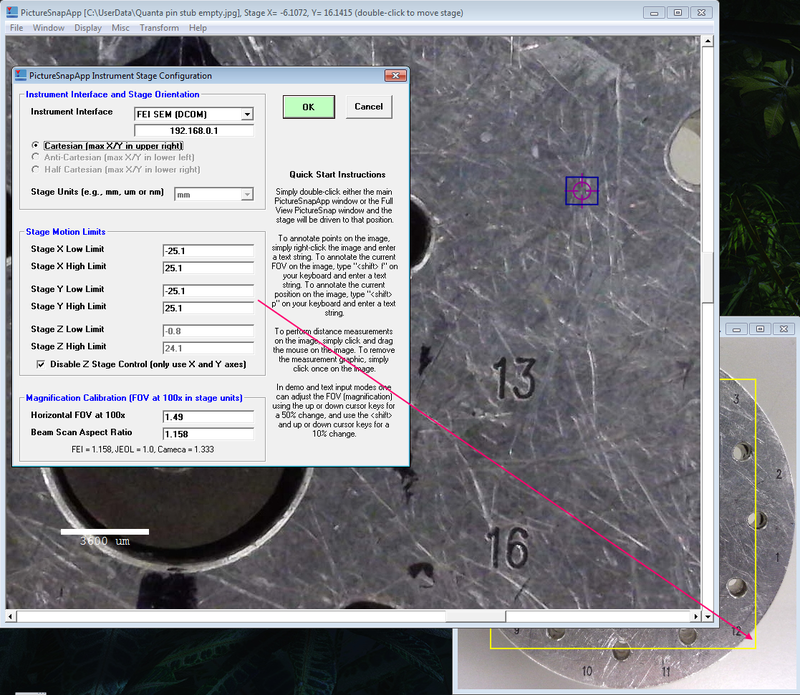 On my Win 7 system I can load very large images (10K by 10K pixels and even larger). It's definitely a Windows Xp issue and not PSnapApp, my two video cards have a gig of memory each but due to XP, it only addresses (i think) the first 250mb of each card, so if the image takes up too much memory, it bluescreens (only on two out of four monitors which I why I suspect it's a video card and not main memory issue). Just wanted to make a note since it's easier to prepare than be lucky - of course if you're running in text mode you can just run it on your laptop etc. and keep your images as giant as you like! The expert we spoke to said some time ago regarding this issue told us that the image size limitation definitely comes from the main computer RAM, not the video memory. That why I mentioned the memory fragmentation issue. That's as much as I know about this! ...Just wanted to make a note since it's easier to prepare than be lucky - of course if you're running in text mode you can just run it on your laptop etc. and keep your images as giant as you like! Absolutely. In fact one could even go so far as to purchase a PictureSnapApp license for one's personal laptop and then one could go from one instrument to another interfacing to Cameca, FEI and JEOL instruments "on the fly" as they say! The ultimate "microanalysis road warrior"! PictureSnapApp now also checks for "locked" stage axes before attempting to move the stage. If the locked axis is the Z stage axis and the "Disable Z Stage Control" checkbox is *not* checked, the app will now warn you that the axis is locked. 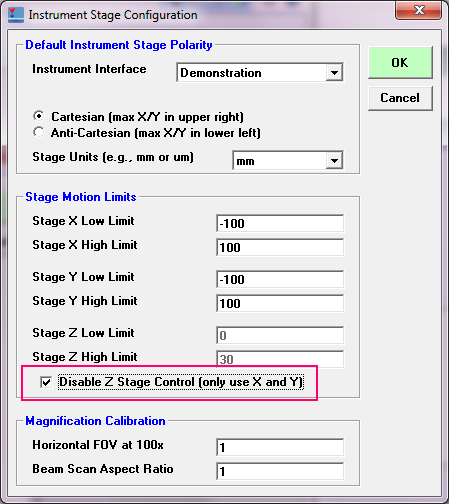 If the locked axis the X and/or Y axes, the app will not allow stage motion until the locked axis is cleared. Thanks to Gareth Seward for the suggestions! We released a minor update of PictureSnapApp (v. 1.7.7) over the weekend. No changes to the code, but we did add an appendix to the installation instructions for those interfacing to a JEOL 8230/8530 EPMA when there is no existing "external control" of the instrument. Basically one needs to turn on the "external control" in the JEOL PC-EPMA software. See attached document and thanks to Jeff Chen for pointing this out.